Mold measures 5" x 8" and features several designs. 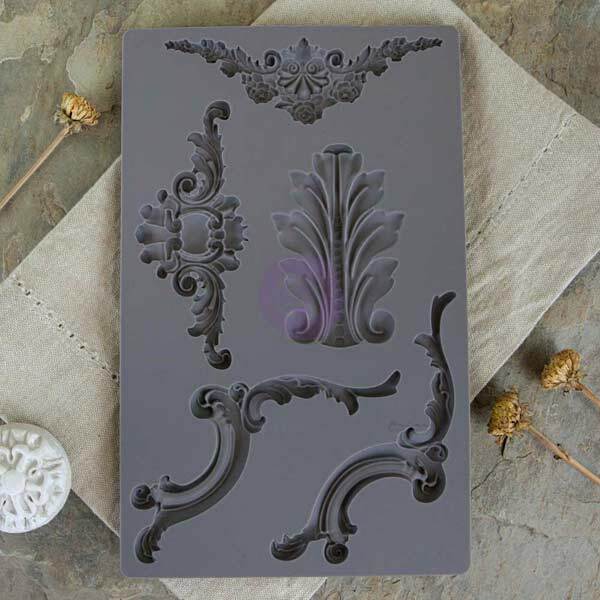 These molds are very flexible silicone molds designed to easily remove your project. They are perfect for creating mixed-media pieces.